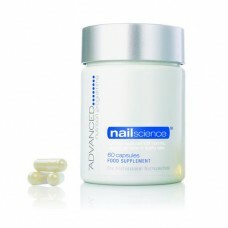 Specifically designed to help keep nails strong and in good shape. Contains a balanced combination of natural ingredients aimed at supporting normal nail growth and condition. The key ingredients include biotin, calcium, L-Lysine, copper, iron, zinc, horsetail and specially selected vitamins and minerals, nutrients which research has shown provide benefits for nails, including connective tissue strengthening, reduced brittleness, decreased moisture loss, improved nail growth.